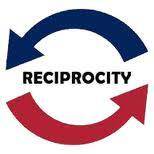 The Equivalency / Reciprocity process is designed for individuals who are seeking either recognition for training and certification or wants to obtain NH Certification from the Academy for training that was obtained from outside the State. If after you have reviewed over all of the information on this page, you still have questions, you can contact Dale Boyd at: dale.boyd@dos.nh.gov. Equivalency is available for the Professional Qualification Levels (listed below) through the New Hampshire Division of Fire Standards and Training and the National Board on Fire Service Professional Qualifications System (“Pro-Board”). STEP # 1: Information Submittal – If a person (the “applicant”) from outside of the state would like to obtain equivalency or credit for the above levels from the NH Division of Fire Standards and Training for courses taken elsewhere, the applicant must submit an application with a copy of their certificate which indicates either ProBoard, IFSAC, or Department of Defense (DOD) accreditation. STEP #2: Processing – Once the application and credentials are reviewed, they will be processed and equivalency will be granted. This means that the State of NH recognizes the certification as equal and no further action is required on the part of the applicant. The applicant will receive a letter in the mail as confirmation and the out of state certification will be placed on the individuals NH student transcript. THERE IS NO PROCESSING FEE FOR EQUIVALENCY. STEP # 1: Information Submittal – If a person (the “applicant”) from outside of the state would like to obtain New Hampshire Certification from the NH Division of Fire Standards and Training for courses taken elsewhere, the applicant must submit any and all course records, certificates that indicate successful completion of fire training programs from an organized / recognized fire training entity. ALL SUBMISSIONS WILL BE COMPLETED VIA THE ONLINE APPLICATION. STEP # 2: Information Review – Once received, the information will be reviewed and an email will be sent to the applicant with the specific disposition for that particular case. The challenge process WILL include both written and practical portions based on the current National Fire Protection Association (NFPA) standard edition for the level being sought. Applicants are strongly encouraged to review the appropriate standards to ensure that they do in fact possess the information before testing, as there are no guarantees that the programs they have taken in previous years comply with the current NFPA standards. Candidates should also be thoroughly familiar with IFSTA and/or Jones & Bartlett Training Curriculum and the appropriate Job Sheets for the practical evolutions. STEP # 3: Schedule the Exam(s) – Challenge exams, written and practical, are scheduled for the 2nd Thursday of every month and must be taken at the New Hampshire Fire Academy in Concord, NH. Each exam is payable before the time of testing – pass or fail. Testing appointments must be scheduled in advance; please call ahead to schedule. If the applicant passes both written and practical portions, the process has been completed for that level and a New Hampshire Certificate will be issued. If the applicant fails the challenge exam, there are no retakes; the applicant must then enroll in the specific program and successfully complete all of the requirements in order to obtain a New Hampshire Certificate for that level. (4) A $400.00 fee for fire service personnel from another state or non-fire service personnel seeking New Hampshire certification, requiring research.